Once I started Elk hunting my life changed. The mountains consumed me, a new world revealed before my eyes, triggering a deep-rooted instinct to explore the unknown. Gazing into the deep and untouched wilderness and breeding that wild air immediately resonated within me. It’s often the locations that I discover, rather than the bull that I am chasing that really has me hooked for life. Elk hunting is a challenge, one that I am eager to endure every Fall. My instinct drives me. It’s miles and miles of hiking, stalking and hours after hours behind the glass. It’s exhausting both physically and mentally, but let me tell you, there is nothing more uplifting than the feeling you endure after you’ve taken that big trophy bull. 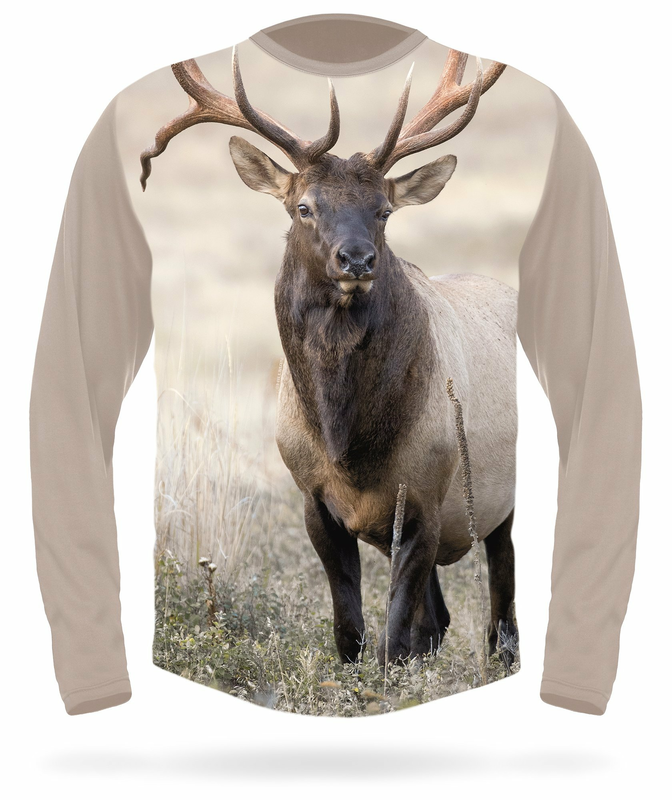 Elk is a massive animal, a trophy hunt desired by many! These days Roosevelt Elk or Rocky Mountain Elk hunting can be practiced in New Mexico, Arizona Colorado, North Dakota and Utah, where you can find a good source of healthy Mountain Elk herds. This goes without saying, first and foremost - always familiarize yourself with the area that you are about to get busy hunting. Study the lands pre-season and off-season, get your boots in the mud if you can, and observe. A map can give you a clue, but can never tell you the exact location of the bull, so design your strategy and definitely have a plan B. A quick tip, don’t listen to sayings that bulls are active only at night or early in the morning. Plenty of elks has been taken midday! Hunting is in our blood, our birth right! It is the very essence of our survival. Always trust your instincts on the quest of Elk Hunting. Despite its timidity and caution, the Elk remains a very dangerous animal. Any animal in crisis situation will do everything possible to escape. Let us remind you that the weight of these noble representatives of the deer family can be up to 350 kg. Without complying with the safety rules, you risk not only to go home without a trophy, but also to get hurt during the hunt. Start with a good set of binoculars, waterproof is an option as you never know what mother nature has in mind. Choose a good elk hunting rifle, and if you chose to shoot the Elk, another important piece of equipment is a good quality scope, where weather performance is a key too. When a shot presents itself to you, you don’t want your scope fogging or having issues with rain. 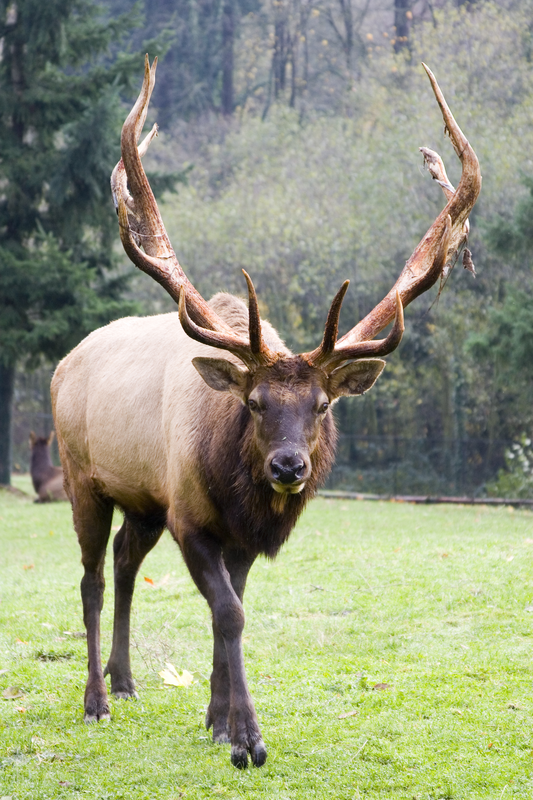 Elks have well developed sense of smell and hearing. Their downside - poor eyesight. However, good elk hunting clothes and camo shirt is a must. Rustling or noises makes the beast fearful and cautious. When hunting it is important to stop smoking some time in advance, as the sharp smell of tobacco, most likely, will not let you even see the animal. Experienced hunters use odor masking substances to avoid detection. No matter if you are bow hunting elk or taking a shot at him, a good hunter needs to know what to expect and anticipate! 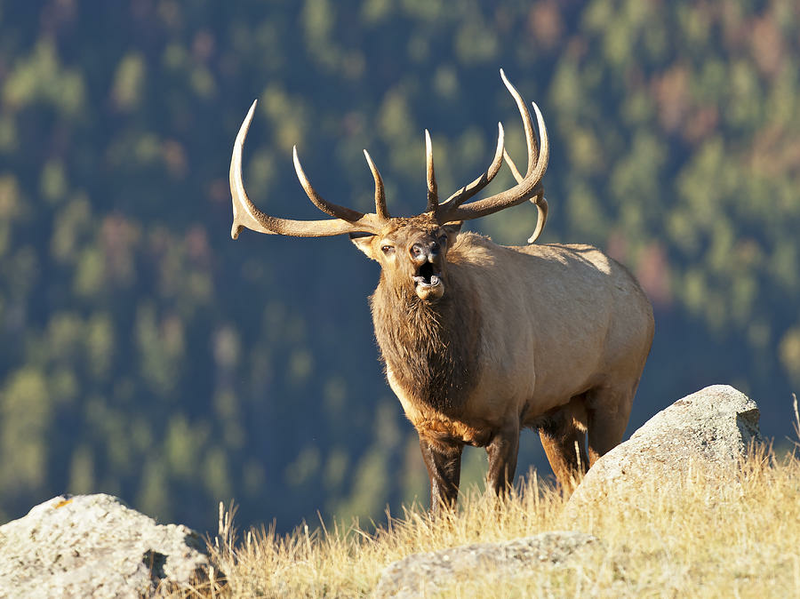 Whitetail hunters get ready, cuz we are not talking deer today, we’re talking about big screaming elk bulls. Think about how many times hunters make mild mistakes drawing their bow too soon, or too late, making a move when they should be staying still. Key to harvesting a big Rocky Mountain Elk is learning their behavior. Anticipating what the bull is about to do before he does, that big elk trophy crown is a sure thing! 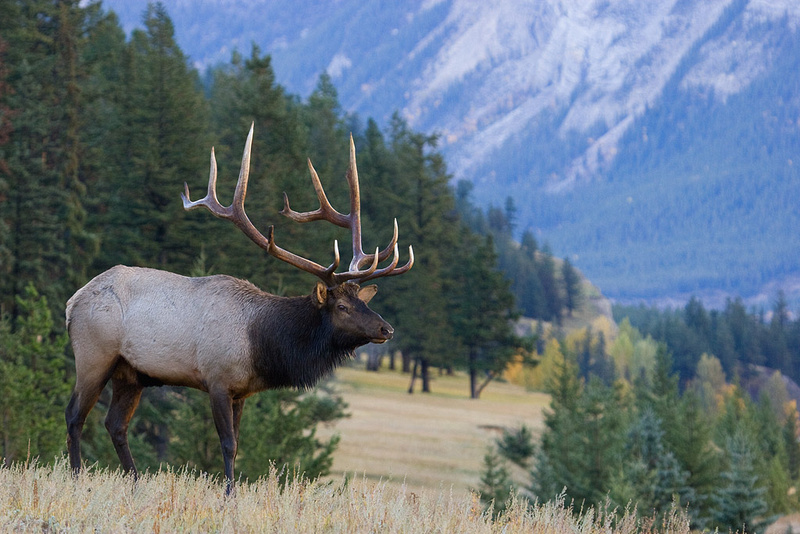 Calling Elk and being successful Elk hunter is simply time in the mountain. Learning to judge their behavior and what their sounds are telling you and combining that knowledge at the end, will help you determine the best possible strategy. Hunters need to know basic bull calls to be successful out in the field. The call calls are good to stimulate bulls to bugle but sometimes it’s a simple bugle that makes them come in. It’s really difficult especially if you are a new Elk hunter when to bugle and when to be quiet. If the bull is bugling, there is no reason for you to bugle back at him. Be a hunter, use a silent stalking approach to try to get in position for a shot using the wind and terrain features to your advantage. You may be able to slip a shot without even making a single sound. If you need to call to the bull to relocate him and he is hung up with cows, designate a shooter caller pair and have the shooter slip silently into the herd, while the caller hangs back and keeps the bull talking. When you spot an elk or a herd, you have to be aggressive. The clock is now ticking! If you have a bull responding to your sounds, and he looks like he is coming in, don’t throw a bugle at him, as he might feel challenged and intimidated by you, and can turn the other way. On the opposite end of the spectrum, if what you are doing isn’t working, you’ve got nothing to lose by changing the game. Try a display call or challenge call, whatever it takes, do it! You don’t have anything to lose if the bull is not cooperating in the first place. The use of scents can be fantastic for your advantage. But be cautious when using them. When the elk are silent and are hard to find, if you spray too much of the elk scent on you, you lose the ability to smell elk when you smell like one. A good solution to that is simply spraying the area around you to have a good cover scent, and when you stand up and move, you still have the ability to smell elk. Sometimes if you can smell them you cannot find them! Trust your elk hunting camouflage and remember to always set up your hiding location well enough, giving you enough space for you to react and move adequately according to the situation. Decoys are very effective in a shooter-caller pair where the caller almost always needs to have a decoy, as it gives that bull a visual confirmation of what he is hearing he is also seeing it. 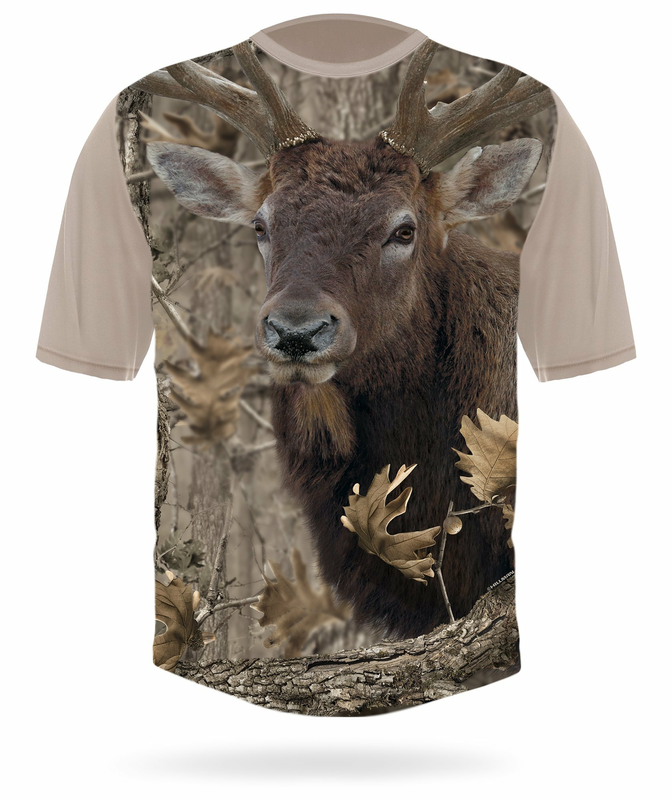 And for those of you who are inspired by beautiful natural landscapes and forever devoted to hunting quests of majestic big game animals around North America and worldwide, we present to you a new and stunning collection of Photocamouflage 3D Elk Shirts. 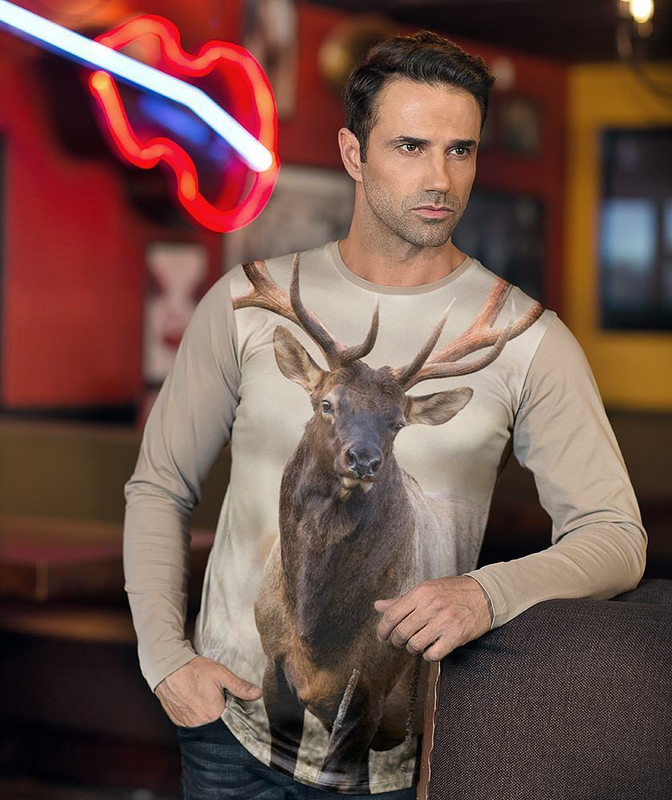 Turn your hunting passion into a lifestyle, reveal new levels of comfort and design with the highest-resolution-image prints of your favorite game animals and birds! Are you looking for a hunting gift? Regardless of a birthday or Christmas event, Hillman T-shirt is the gift that gets you into that hunter's heart forever.